I bought this little 4" vase off ebay may years ago. 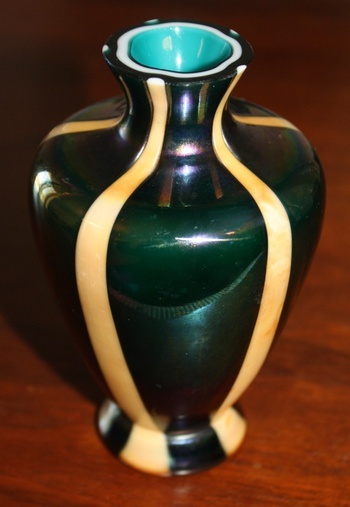 I loved the fact that four different colors of glass were used in making the vase. Anyone have a guess as to today's value?